While it's easy to get lost in the Halloween celebration in FarmVille, brought about by the launch of Haunted Hollow, let's not forget that a new countdown has launched on our farms, giving us a chance to win 13 new items just for asking our friends for help once (or twice) per day. FVNation has discovered the full list of contents from this new stamp-themed collection, so here's a rundown of the items you can expect to win! If you can complete this stamp collection by earning each of these 12 prizes, you'll receive a 13th prize for free: the Zorse (that's a zebra mixed with a horse). This collection will only be available for a limited time, so while you might have more than 12 days to actually win these prizes, they definitely aren't permanent. Good luck collecting them all! 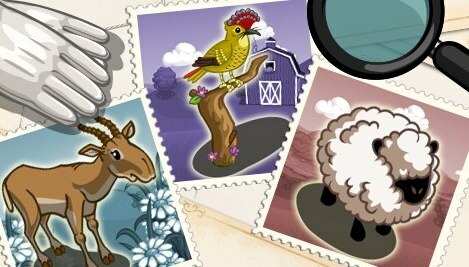 What do you think of the prizes in this Stamp Collection in FarmVille? Sound off in the comments!